IF YOU ALREADY HAVE MONEY, GO AWAY! THIS BOOK IS NOT FOR YOU! 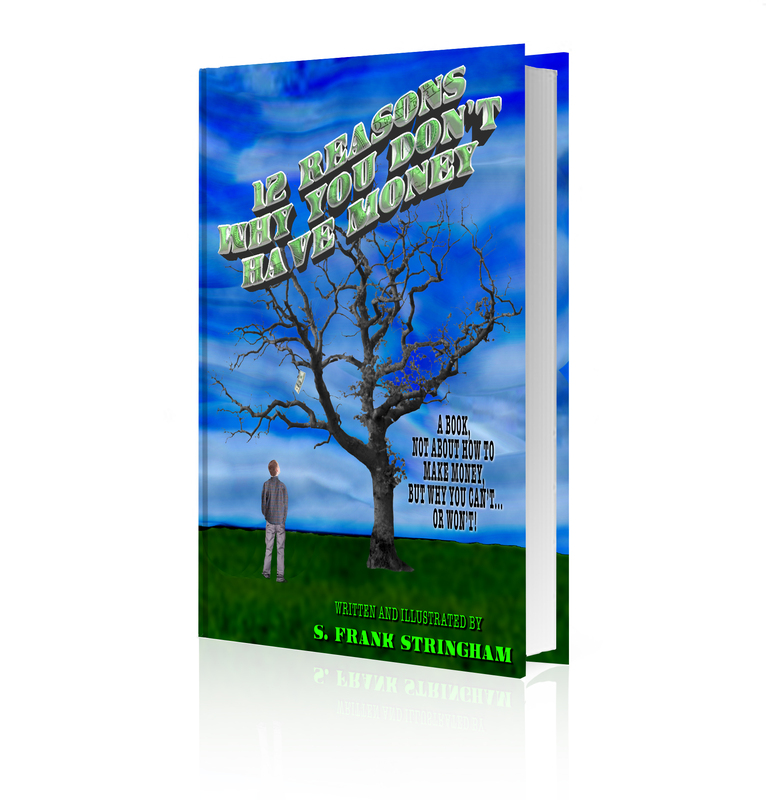 IF YOU DON'T HAVE MONEY, AND YOU HAVE NOT HAD MONEY ALL YOUR LIFE...THEN THIS BOOK IS FOR YOU!! FINALLY, THE ANSWER FOR MAKING SURE YOU ALWAYS HAVE MONEY IN YOUR POCKET!! * Are there times in your life when you feel like you are finally getting into a good financial position, and then tragedy happens that empties out your savings? * Do you feel like that happens to you ALL OF THE TIME? * Do you have friends that go off and do things that you wish you could do, but you don't because you can't afford it? * Do you realize there may be more than one reason why you don't have money? * Have you tried every single way imaginable to make money (legally) but nothing sees to pan out? * Are you tired of asking for handouts, or expecting people to pay for you because they know you don't have the cash? * Would you like to know why you DON'T have money? * Does it DRIVE YOU NUTS when you see people spending money on frivolous things while you can barely keep your family fed? * On the other hand, do you want to be able to spend money on frivolous things? "12 REASONS WHY YOU DON'T HAVE MONEY"
AND BE COMFORTABLE WITH IT!!" 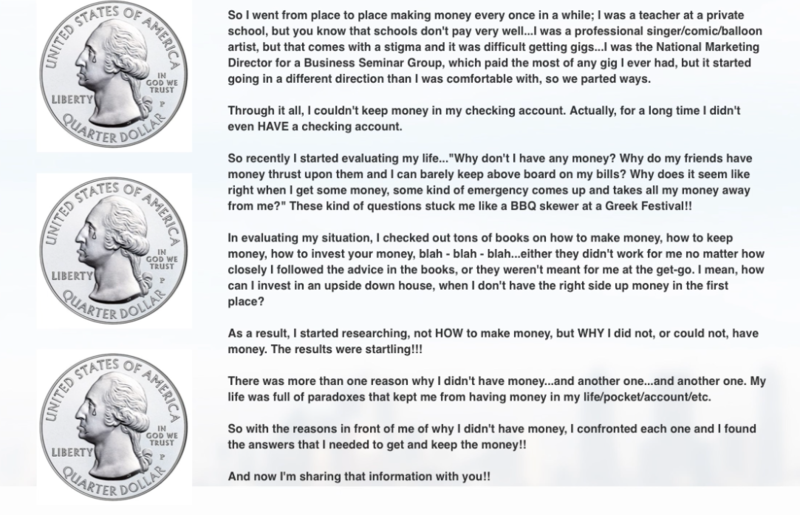 "A Book, Not About How to Make Money, But Why You Can't...Or Won't"
Seems deep right? Yet you can relate to it, can't you? LET'S MAKE SURE WE CAN GET YOU TO RECEIVE AND KEEP YOUR MONEY, SHALL WE? that rich people seem to pass over when they are talking about how to accumulate wealth. I don't think they are hiding it from us. I just think they have the knowledge wired into their heads and don't realize the we, the poor people, don't know about it. They think that everyone knows. This is a secret that I had to discover for myself. And when it hit me...IT HIT ME HARD...but I got it!! Why didn't they tell us about this before? I just think that they assumed we knew. It's a secret that may help you to start receiving money sooner than you think. Here is my order NOW! !